A year of creating daily artworks on the lids of Carmex lip balm containers. Various materials are used with an emphasis on mixed-media. Creations may feature: polymer clay, metal clays (Fine Silver, bronze and copper), SWAROVSKI ELEMENTS, resin, wire, pearls, paper, paint, glass, wood, coins, buttons, hardware, found and recycled objects. The best for your lips! Polymer Clay Daily — Inspiring you to create! Welcome to Brea Bead Works! Polymer clay artists - you have your own magazine! Welcome to PolymerCAFÉ! To Endings and New Beginnings! It's a bittersweet ending to this year long project. What now? I hope to see the release of many new products in my line, plus I hope to start on a couple of new creative books. In addition I have a couple of creative projects planned. 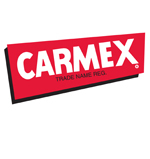 The first is to offer a step-by-step tutorial for making your own Carmex jars this coming year. My intention is to offer one tutorial each month for 2013. Details will be posted here and on my Facebook pages and Twitter (under "Lisa Pavelka") in the next few weeks. Another project I will be embarking on is a "Random Acts of Creativity" endeavor. I will be making small works of art using a variety of mediums and techniques. These will be left in random places where I live and throughout the world as I travel. Whoever finds these can do whatever they wish with them (add to a chain for a necklace, use as an ornament, etc.) They will be attached to large lobster clasps or phone charm lanyards. Finders will be able to voluntarily leave their thoughts on what finding these tiny treasures mean to them. Each piece will be numbered and photographed before it is left. Any comments received will be posted to my "Creative Musings," blog (where I also post pictures artwork and creative journeys). I made this very last (of 366 lids) in tribute to the new year. Foil covered polymer clay is formed into spiral streamers that appear to burst into the sky. Foil in vibrant colors also grace polymer clay that covers the rim. It is my sincere hope that you've enjoyed the blog project as much as I had making it. This site will stay up indefinitely and be linked to my other sites and pages. Feel free to stop back and visit anytime for inspiration or updates on new DIY lid tutorials. I appreciate all the support and encouragement I have received throughout the year from so many of you! This little project grew in ways I had never envisioned as the year whizzed by. Now that it's complete and I achieved the goal of creating a new artwork for each day of 2012, I expect the buzz to continue in ways I can scarcely imagine. Most of all, I hope this endeavor will inspire you to live your life more creatively. Always Keep Art in Your Heart! In my sourcing adventures for unusual finds to use in my creations, I came across this vintage, miniature music box. It plays a Brahms lullaby when the handle is cranked. When I found it, the handle already had a lovely rusted patina. The stone at the top was missing, so I replaced it with a SWAROVSKI ELEMENTS chaton crystal. I wanted to mirror the filigree motif that covers the box. To do this, I stamped a similar pattern with pigment ink on white polymer clay that serves as the cover for the lid. The border is red polymer clay covered with crystal mesh that covers nearly all the circumference, except a cut-out where the handle moves when the handle is cranked. This is a similar construction to an earlier holey dome (from August 19th) made from .999 Fine Silver (Art Clay Silver). A large SWAROVSKI ELEMENTS Chaton crystal sits inside the gradient base. A random embedding of crystal chatons are set inside some of the holes. Clay striping surrounds the edge, while textured clay frames the top and bottom edges of the rim. This mini dragon makes a wish upon a SWAROVSKI ELEMENTS crystal. Gradient yellow to green bull's eye cane slices were used to create the scales. Green and translucent clay make up the cane that was used to create the wings. Random green clay striping covers the rim. The wishful sentiment that graces the .999 Fine Silver plaque (made from Art Clay Silver) was stamped into the clay before firing using my soon-to-be released "Say It" texture stamp. A tangled formation of 24 gauge Parawire serves as the nest for an Art Clay Silver (.999 Fine Silver) bird and her cultured pearl eggs. This sits over a base of Robin's egg blue clay. The rim is accented with clay striping and millefiori cane leaves. ...a secret keeper that is. This is a construction I developed - a featured step-by-step technique featured on my Polymer Clay Treasures DVD. It's a hinged lentil construction made into an Inro style, wearable vessel. These can be used to hold written prayers, wishes, scented cotton balls, pills, mints or other tiny treasures. A fortune cookie peeks outside of the open lid. A floral millefiori cane design made in complimentary shades dances across the rim. In tribute to the Christmas holiday, I retrieved another of my "Bearly There" figurines made over two decades ago. This was one of dozens of miniature clay figurines that I made and were sold in several states throughout the U.S. I made this line for over nine years and secured a registered Federal Trade Mark for the brand. I set this over a textured white clay layer surrounded with candy cane clay striping. Gradient millefiori cane slices were shaped and embellished with tips to make them look like tiny Christmas tree light bulbs. These are "strung" around the textured clay rim of the jar. Wishing everyone happy holidays! A miniature snow globe filled with Art Glitter and a teeny polymer clay snowman sits over a field of glittery white and iridescent clay snow. A cozy, striped scarf wraps around the base and it accented with a clay snowflake and SWAROVSKI ELEMENTS flatback crystal. The globe is topped off with a red cap with more of the same. Two halves of a polymer clay heart are stitched together with Parawire. One side is stamped white clay created with the "Love Letter" texture stamp. The other side is blue clay that's been painted with intersecting striping of metallic ink. This is nestled over a crumpled, fabric-like layer of metallic, silver polymer clay. A blue clay border made using the "Ropes and Braids" mold surround this. Smoosh cane segments are lined up around the rim. Millefiori cane slices cover the gap between this and the textured edge. Okay, so yesterday the world was supposed to come to an end, that according to some people who have interpreted this based on the Aztec calendar. We'll either they were right and no one is reading this (what a waste of the last ten jars!) or they were wrong. Throughout history, people have predicted the end of days, so send in the flying monkeys! (just like the tiny one clinging to the edge of the lid). The negative sentiment of "Doom and Gloom" (as noted on the rim of the jar) was stamped into clay with black ink. Thankfully, this latest prediction proves wrong, just like the last major scare of Y2K. The world wasn't brought to it's knees as concerns over what would happen when we reached the new millennium ensured that most computer software was modified to deal with the date turnover. A miniature image transfer of an Aztec calendar was transferred onto my inkjet waterslide transfer paper. A rusted border is a found jewelry embellishment and tiny millefiori cane slices. Textured black clay wraps the rim. The hinged lid opens to reveal a polymer clay happy face, which expresses my joy that you're reading this and we're still here! Opposing this on the inside of the lid, is yet another image transfer. I thought it appropriate to create the humorous sentiment often found inside soda bottle caps during prize giveaways (of "Thanks for Playing, Try Again Later"). It may be trite, but to quote the play Annie,"The sun will come out tomorrow!"